Once you decide to list your home, there are a number of steps in the process. Here is a detailed explanation of the process and the steps that you will go through. The home will be measured and digital pictures will be taken. A “Just Listed” sign will be placed on the front lawn or in the window at listing time. The Listing information will be entered into the Realtor® MLS system on the next business day. The Listing may not be visible on Realtor.ca (Public MLS) for up to 2 days as there is a delay between the Realtor® MLS systems and the Public one. But not to worry it is on the Realtor® System. A For Sale sign will be professionally installed on your lawn with in 3 business days. Copies of your contract and a welcome listing package will be sent to you electronically via in the e-mail immediately upon the listing being entered into the computer. We will also deliver Black and White Feature Sheets to you the day after the listing is entered on to the MLS. Color Feature Sheets will also be Delivered a few days later. Please place them in a convenient location were the Realtors® and potential buyers will be able to see them. The MLS listing will appear on a number of other Websites such as Remax.ca and all of teams websites within a day after the property is listed. Typically, the first 2 weeks after a home is listed is the time when the most number of showings occur. This is when all of the potential buyers that are currently in the market place, looking for this style of home, will view it. After this best group of buyers has been through your home, only the new buyers who are just starting to shop will be viewing the home. Pricing is critical during the first two weeks, as most buyers will not go back and review a home they have all ready rejected because of price. If a home is not getting on average one showing a day or 10-15 showings with out an offer, this is an indication that the buyers are not seeing enough value in the home compared to that other ones in the market place. Either the value has to be increased (e.g. renovations) or the price needs to be adjusted downwards. Please review “When Should the Price be Adjusted” Section in this document. You will need to provide a number of documents relating to the status and condition of your home; we have listed the important ones below. Your Tax Bill. We will use the information on your tax bill in the listing. Condominium Documents. If your home is a condominium, we will have to provide all of the Condominium documents to the purchaser before they waive the conditions on the purchase of your home. If you do not have all of these documents (which is typical), our office will help you purchase the correct ones. An Updated Real Property Report. The Real Property Report (RPR) describes the location of your home outbuildings, fences etc. Most of the problems that arise at closing are detailed on the RPR. When you get the RPR early, any problems that may appear can be corrected early, and you are more likely to receive your money on time at closing. The RPR Should be ordered within 10 days of listing your home. If you are going to be moving any fences, sheds, etc., do this before the report is ordered. Please see the section on Real Property Report in this document for complete details. If you have an existing RPR that that is not current, call the survey company that did the original report. Most Survey Companies provide a discounted rate for updating one of their existing reports. Land Title. Our office will order a new copy of your title form the land titles office at no charge to you. We will help you review this document to ensure that all items are correct, Mortgages, Leans, caveats etc. Appliance Manuals. Any manuals or warranty information for items of your home or appliances (i.e. roof, furnace, water tanks, appliances) that are staying with the home are useful for the new purchaser. Please leave these in a drawer in the kitchen for the new owner. Home Plans If you have any of the original construction documentation, such as plans, change orders, lot plans, Marketing documentation please leave this out on the counter or in a drawer for the new purchaser. Showing your Home This section is so important – we have created a seperate document . Please review: How to Prepare you home to sell and how to Prepare for Showings Section on this Website. Remember: Buyers will purchase the house with the greatest value in their price range. It is very rare that buyers will write and offer on a home that is not priced similar to homes of equal value. So now your home is on the market: the sign is up, the listing is on all of our websites, and the potential buyers are coming to view your home – or are they?! 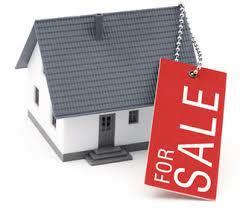 If we have not had any offer on your home within the first week, what can we do to generate offers? This is always the million dollar question, and there are a number of answers… but first a bit of general back ground. These are givens and apply to all situations for all homes. Homes will receive the most showings in the first Two – Three weeks after the home is listed. There are approximately 5,000 Realtors in Calgary, all with many buyers waiting for new listings to come on the market. It is important to have a home priced correctly during the first month. If it is not, all of those buyers look, then decide that the house is not for them, and they won’t usually come back after the price is reduced: they have viewed the home once or have rejected it after viewing it on the computer. A Seller’s Goal should always be to plan to sell the home in the first month it is listed. Possession date can be any number of months out, but the sale should happen within the first month. If the price is reduced and the number of days that the home has been on the Market is high, then some people may think that there is something wrong with the home – then not come to look at it. Buyers will always buy the home with the most value that matches their requirements in their particular price range. The major factors effecting the Value of a home in order are Location, Square footage, amount of developed Square Footage, Parking, type of home, number of bedrooms, bathrooms, interior and exterior condition. 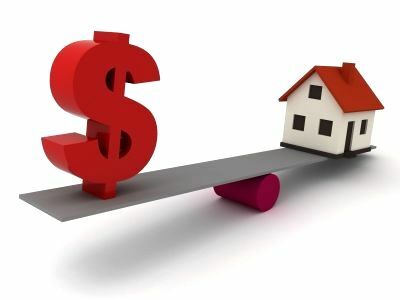 So if your home is not selling a particular price point, then we must Increase the Value or decrease the Selling Price. most cases this is impractical so price now becomes the variable factor. We receive Less than one showing per day averaged over a one week period. If this continues for more than 2 weeks it is time to make an adjustment. With the advent of computers and more recently the Internet all of the Realtor’s and therefore the buyers have access to the Current and Historical price data form which to base there offer price on. The days of some one falling off the turnip truck and offering more for a house than it is worth is very rare now. The true pricing information is just too accessible. Today buyers are more informed than ever. So we will contact you every week at a predetermined time, and we will discuss that feed back form the other Realtor’s that have shown you home. Every second week we will review the showing statistics and decide how we can increase the marketability of your home, either by price reduction or other methods to increase value. Why not wait a month before we reduce the price?? 14 days is enough to access the number of showings and the market feed back to determine if we are priced higher price then the market will pay. So what happens if we wait to bring the price down?? The home will sell at market fair value anyways. PERIOD. If the home is on the market for to long we may actually receive less than the true market value. As people feel there may be and unknown problem with the home as no one has bought it yet. The amount of horse power generated by the MLS system and our marketing is enormous. Any home will sell in the first month, even the first week if it is priced right. We do not want to under price our home. What would happen if we did. ?? If a home is under priced on the MLS system, the good Realtor’s pick up on it instantly. All good agents use automatic search software to notify them of such deals. When it happens, and it does on occasion it creates a flurry of activity with buyers looking at the home and a multiple offer situation is created. When a multiple offer situation occurs, each buyer will then offer what they believe to be their best price on the home. The home will then sell at true market value or above, as you would expect with a competitive bidding situation. The power of our marketing and the MLS is huge. If our home is over priced won’t a buyer just write a low offer any way?? 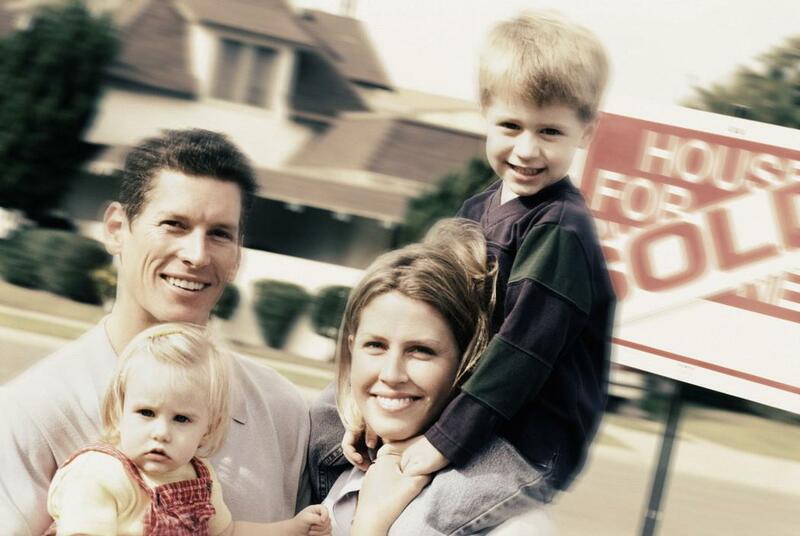 All buyers will purchase the most home they can in their price range. So if a buyer is approved to purchase a home for say $400,000 they will buy the best home they can for that price range. If all of the homes priced in that range have 3 bedrooms and a double garage that will be what they see and what the will desire. So if a house with 2 Bedrooms and no garage is priced at $400,000 and it is really worth $350,000 the people that want a $400,000 house will never write an offer because they want 3 bedrooms and a garage. The people that would write an offer on it (the people viewing the $350,000 houses) never see it because it is out of there price range and they never look at it. In Person Presentation: If the offer is to be presented in person the 2 Realtors® and the home owner will all meet at an agreed upon time and place, usually at the property in question. We all sit at the table and the Buying Realtor® will present the buyers offer. Typically a good Realtor® will tell us a bit about their client why they would like to purchase your home and describer there offer. They cannot and will not try to convince you to take the offer. If they are smart they should not describe the faults of your home. They just make a presentation and leave. We will then sit and discuss the offer in private then at that time decide if we will accept, counter, or reject the offer. We will sign and / or amend the offer and send it back to the Buying Realtor®. Private Presentation: If the offer is to be presented in private then the buying Realtor® will deliver the offer to the listing Realtor® either by fax or personally. We will then sit and discuss the offer in private, then at that time decide if we will accept, counter, or reject the offer. We will sign and / or amend the offer and send it back to the Buying Realtor®. If the offer is to be countered it is becoming common practice to negotiate the offer by phone with the buyers. Once the price & terms are agreed to, then both parties will then sign the Purchase Contract, finalizing it. Keep in mind that the contract must be signed before the terms are legally binding. In some cases it is possible to receive two or more offer on your home at the same time, this is a good thing, and the best situation that we could be in. The real estate board has very defined rules on what happens in a multiple offer situation. The basic rules are. All Realtors® that have an offer, have to be informed that we have a multiple offer situation, and how may offers that we are expecting. This allows each buyer to structure their offer to present their best offer and price for you home. Typically most Realtors® like to present their offer in person so they can tell you about their client and why they would like to purchase your home. If the Realtors® choose present there offer each Realtor® will come in to your home one at a time, we will sit at the table and they will tell us about there client why they would like to purchase your home and describer there offer. They cannot and will not try to convince you to take the offer. They just make a presentation and leave. All other Realtors® will typically wait outside in their car for their turn. After we have reviewed each offer we will chose one offer to accept or counter back one of the offers. We can only work with one offer to work with to completion of failure (if we counter back 2 we may sell their home to 2 different people at the same time. In a case were we are in Dual Agency situation (i.e. Glen has an offer and another Realtor® has an offer) then our office manager will represent you and sit with you while all Realtors® including Glen come in and present their offers. The Seller will then chose the best offer to work with. After the offer has been accepted then Glen will take over from the office manger to complete the process. In all cases we will try to generate multiple offers by calling back the other Realtors® that have shown your home recently to let them know that we have an offer coming in on your home. Multiple offers are not an indication that the home was priced to low, it just means that 2 ore more parties believe the home is priced fairly and that they have decided to write and offer at the same time. 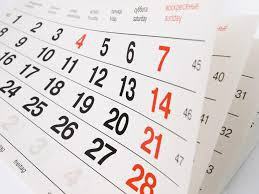 Possession date (some times called Completion date) is the date when the home changes hands. This date is negotiated as part of the Purchase Contract. All taxes, utilities, rents and any other financial obligations are adjusted as of this date. Typical possession time is 12 noon on the possession date (as per the Purchase Contract). On your possession date please leave your home clean, leave all manuals for the appliances, extra keys for the house, garage the garage door openers, mailbox keys, special instructions and any other items to be transferred to the new owners on the kitchen counter. Don’t forget to leave all items negotiated in the Purchase Contract, i.e. blinds fans etc. We will take the key we had in the lock box and send it over to the buyers Realtor® in trust before possession. The buyers Realtor® will use that key to enter the property on possession day. The seller and sellers Realtor® are not typically present at the property on possession date. The selling Realtor® will contact your lawyer on possession date to confirm when the keys are releasable. (Meaning the buyer has all financing in place) Please inform all utility providers of the possession date and tell them to transfer the accounts out of your name. Call them back on possession date with the meter readings. Please arrange to be completely moved out of your home at least one day before possession date. I have seen it happen so many times were trucks break down, moving companies don’t show up on time, so to avoid the stress move in advance, try to over-lap your possession dates by at least a week. You will thank your-self in the end. When we are negotiating the offer on your home it is typical for the buyer to request to make the sales purchase contract subject to a number of conditions. The typical conditions are detailed below. When a contract is agreed to by all parties, we have a Conditional Sales Contract or what we call a “Conditional Sale”. This is when the C/S sticker goes on the lawn sign and the listing on the MLS System is changed to pending. Conditions can be in favour of the seller but more typically the buyer. A condition is always time sensitive. The condition must be satisfied (or waived) within a certain time period. (I.e. The Buyer will have 5 working days to secure your financing from your lender). All conditions must be waived in writing, once all of the conditions have been waived the contract now becomes a Firm Sale, the Sold sticker goes on. After the sale is firm it is a breach of contract for the buyer (or Seller) not to complete on the sale. The Buyer would typically forfeit their deposit if they do not complete on the Sale after conditions have been waived. The party that does not complete on the sale is also subject to legal ramifications. Subject to Financing. This means that the buyer has to be approved by his lender to get a loan to purchase your home. Typically all good Realtors® will have their purchasers pre-approved by the lender. We will always ask the other Realtor® before accepting an offer if his purchaser has been pre approved for the Mortgage. The Lender will typically send out an appraiser to inspect your home (at the sellers expense) to insure that the purchase price is in line with fair market value. Once the Lender is happy with the purchaser’s credit and the value of the home is fair the file is passed to CMHC or GE Capital to approve any mortgage insurance that may be required. This process typically takes less than 7 days. Subject to a Home inspection. The buyer will have the right to bring in a certified home inspector to inspect the home for any major deficiencies in the home. If any major problems found with the home the buyer will have the right not to complete on the transaction. In some case the buyer and the seller may agree on other financial compensation to compensate for the problems found. Typical problems that arise are Roof, Furnaces or other major structural problems. The home inspection is typically at the buyer’s expense. If the buyer decides not to proceed with the purchase of the home after the home inspection then the buyer must provide the seller a copy of the home inspection report (from a reputable inspection company) outlining the details of the major deficiency. If the deficiency is major and the buyer wishes not to complete on the sale then the deposit is returned to the buyer and the home is placed back on the market. Subject to Review and acceptance of Condominium Documents. With the sale of a Condominium (not single family homes) the buyer will have the right to receive and review all of the documents dealing with the management of the condominium corporation. If they feel that there is ANY problem with the way that the corporation is being managed or any of the restrictions on them after reviewing the documents they will have the right to cancel the contract and receiver there deposit cheque back. You will require the services of a Lawyer to represent you in the sale of your home. When you are choosing a lawyer please choose one that specializes in Real Estate Law. If there is ever a problem with the sale of your home, you Lawyer is the one that represents your best interests, so it is important to have one that understands all of the ins and outs of Real Estate Law. Any Lawyer will do when it is a clean transaction but when a problem arises that is when you will be happy you chose an expert. Your lawyer will be transferring hundreds of thousands of dollars for you. Most lawyers charge about the same fee so get an expert. If you do not have a Lawyer please ask and we can help you choose a professional. We will provide you with a couple of recommended Lawyer’s, please strongly considered using one of them. The look after our clients and we can get a hold of them when we need to. This is very important on the possession date and it can make the process go smoother. Our Real Estate office will send all of the documents to you lawyer. He will prepare a number of documents to transfer your home from you to the new purchaser. You should meet with your lawyer at least 2 weeks before possession date to sign these documents. It is important to get this done timely, in some cases land titles is behind and you want to make sure your side is not holding up the process. You can incur additional fees. If you have not heard from your lawyer 3 weeks before possession date call him and sure they are on top of things. Together we will write an offer with your best interests in mind and negotiate a fair deal for all parties concerned. The offer will be structured to minimize risk to you. At this point, you should consider which lawyer you are going to retain for the transaction. We will have a number of recommendations for you. Once the offer is accepted, it will be checked for accuracy. Once you have retained a lawyer and mortgage broker, please provide us with the details. We will in turn provide copies to you, your mortgage lender and your lawyer. You may have your lawyer review the offer before conditions are waived. Once the offer is accepted we now have a legal contract with conditions. Typical conditions may be Home Inspection, Financing and Review of the Condo Documents. Typically we will have a week to satisfy these conditions, and give written notice to the Seller by means of a waiver form. This is when the C/S Conditionally Sold sign goes on the for sale sign. I will encourage you to hire a professional home inspection company to analyze the home for possible major defects or safety concerns. This will give you peace of mind and should be a condition of the offer. We will encourage you to attend the home inspection with the inspector, so he can familiarize you with the systems of your new home. You will not be expected to proceed if Major expense is required to rectify problems. After the inspection, don’t use the information about minor defects to negotiate a lower price, but instead to ensure it is structurally sound. You may be able to use the report again if and when you sell your home again. If you are purchasing a Condominium we will be requesting a number of documents from the seller. It is recommended to have a knowledgeable party review these documents with you. When you buy a Condo, you are buying a piece of a Corporation. These documents will explain the financial and mechanical workings of the corporation, the buildings and mechanical systems. Some people have their lawyer review the documents or use a 3rd party condo check service. When we write the offer on your home you will need to provide me a deposit cheque, made payable in the name of the selling real estate company, which is cashable when we present the initial offer to the sellers. This money is held in the trust account of the selling real estate company and is used as part of your cash downpayment on your home. Typically no interest is paid on this deposit money while it is held in trust. Your deposit money will not be at risk during the conditional sale period of the contract. This means that deposit becomes non-refundable only after we have waived all conditions of the contract (such as financing and home inspection). The amount of the deposit will vary depending upon the purchase price of your home and the size or your mortgage. A typical deposit is between $2,000 to $15,000 the larger the deposit the more serious the seller will take you, especially in a multiple offer situation. Since you have all ready been pre-approved in advance for a mortgage, this step should not be a problem. Our office will forward a copy of the sale contract and the listing information about your new home, to the lender. The lender will review this information and may now ask you for additional personal information, such as letters of employment, bank statements etc. It is important to get this information to the lender as soon as possible (as we only have until the condition date to get the approval done). The lender will review your documents and the appraisal, and then give us approval for the purchase of your home. Please insure that your lender sends us a written approval stating you have been approved for the mortgage. There are many types of mortgage products out the in the market place. Some important features about the mortgages are: Interest Rate, Prepayment Penalties, Prepayment Options, Terms of the mortgage Fixed or Variable rate, Capped of non-Capped. Some of these decisions can mean $1000’s over the life-time of your mortgage. 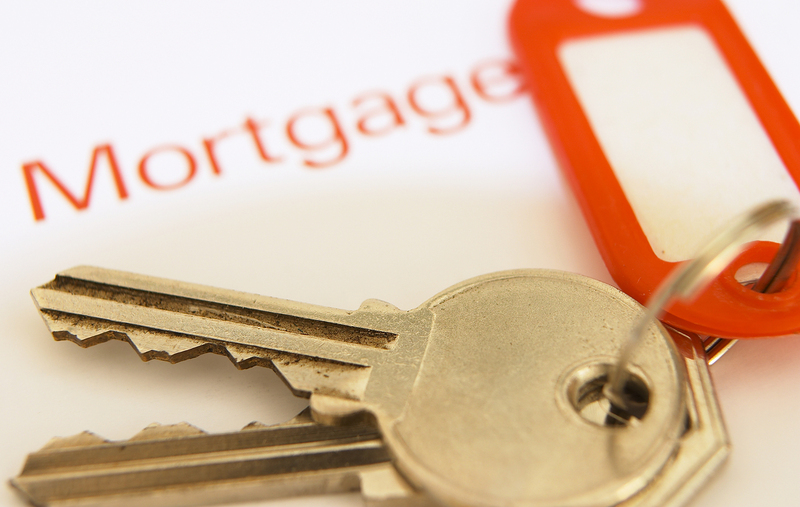 A good mortgage broker can save you significant money over the life of your mortgage. Typically your mortgage lender will have the home appraised by a certified professional appraiser. This is typical, and is for your protection. The lender has pre-approved you for a mortgage amount based on your salary and expenses. Now they want to make sure that the purchase price for the home is reasonable based on today’s market conditions. Canada Mortgage and Housing Corporation (CMHC) is a division of the Federal Government that insures home purchases for Canadians. Typically, the banks require a 25% of the purchase price as a downpayment before they will issue a mortgage. However, if the home is your primary residence, CMHC will sell you insurance and will then allow you to purchase you home with as little as 5% downpayment. The price of the insurance coverage is rolled back into the mortgage amount so you do not have to pay it directly, unless you choose to do so. Since CMHC is insuring your home, they also want to approve the home and mortgage. The lender typically takes care of application and approval step. Keep in mind some types of housing and condo projects CMHC will not approve. These rules change so ask us for the current details. In Alberta, the standard Real Estate Purchase Contract places all responsibility for the cost of a valid policy of title insurance or a Real Property Report with a compliance stamp, on the Seller. A real property report is a document created by a land surveyor that shows the location and sizes of all improvements on the property. Your lawyer will review the survey with you. Please ensure you keep a copy of the survey in your files for future use. All of the conditions on the Purchase Contract expire at a specific date and time, which we negotiated when we initially wrote the contract. We, as buyers, must inform the seller in writing before the expiry time that we will waive that specific condition. If these conditions are not waived, and there is a valid reason for not waiving them, the contract now becomes dead, and the deposit funds are to be returned to the buyer. In some case with the agreement of the buyer and seller, in writing, it may be possible to extend the condition dates. We will have you sign these Waivers forms and we will fax them to the seller’s agent before 9.00pm on each of the condition days, as well as your lawyer and mortgage broker. When the last waiver is signed and sent, the sale of your home now becomes a FIRM SALE and the sold sticker goes on the for sale sign. If you have not already done so, you must now choose a Lawyer to represent you. If you do not have a lawyer that you use, we can recommend a number of firms for you. Choose a Lawyer that specializes in Real Estate Law. Our office will send all of the contracts and documents to him. He will also receive all of the mortgage documents from your lender. The Lawyer will now prepare a number of documents for you to sign. Please call your lawyer to start the conversations between yourselves and their office. This will insure that there is no miss-communication down the road and you will both be confirming that you are working together on possession date. We will encourage you to consult a general insurance agent and a life and disability insurance agent, so you will have proper insurance in place prior to possession day. Your lender will require you to have fire insurance on your new home, with them listed as first payable. You should also have a general home-owners policy covering your home and contents. Some of the lenders will also try to sell you mortgage insurance, to pay off the mortgage in case of a death. Check with your general insurance agent as they can generally provide better coverage for a cheaper rate. Have your insurance lined up before you go into see your lawyer. If you do not here from your lawyer 2 weeks before possession date call them and set up an appointment to go in and sign the documents. The lawyer will explain all of the documents to you in detail. They will also have the entire mortgage documents from the bank there for you too also sign. Our office will contact the lawyer 7 days before possession to ensure that all documents have been signed, as to get an update on the progress of the file. On possession date, the Buyers Lawyer will inform by the Seller’s Lawyer and the Realtors when the Keys are Releasable. This happens after both lawyers are happy with the documents and the transfer of the funds etc. This typical happens the morning of possession date. Remember the sooner you get in to the lawyer to sign the documents the smoother this part goes, as they are no scurrying around at last minute. Once we know the keys are releasable, and we have the keys in our possession, and at an agreed upon time after, 12:00 Noon on the possession date, we will meet you at the home and we will complete a pre-occupancy inspection. We are looking to see that the home was left in a state similar to how we viewed it, and that all chattels and appliances have been left as per the Purchase Contract. I will report any problems to your lawyer. At this time, we will also record all of the utility meters and you can call them back in to the providers. Legally we can enter the home any time after 12:00 noon and not before. Please do not ask if we can start to move in early etc. this is NOT possible. We do not have to enter the home right at noon, any time in the day, or after work etc is fine. If you are out of town we can go in and check things out for you. Please Please Please give yourself enough time to move into your new home so you have time to get out of your old home and clean it in time. Always try to overlap possession dates by a couple of days so you are not in a panic, in case there is a hold up getting into the new house. Sometimes it happens and there is nothing you can do about it – so be prepared. If possible, try to schedule your moving mid week and not on the 15 or end of month when everyone else does Movers, and trucks are usually more available and possibly cheaper. It may cost you a little more to overlap the possession dates but you will thank yourself when you have the extra time to move. Trust me; it always takes longer to move than you think it will. You will need to re-key your door locks at the earliest possible time after possession day. We suggest that you have a locksmith booked for the date of possession, for your security and peace of mind. After possession we will send you a complete set of contracts etc. that we have in our office. Please take all of your other legal and lender documents and put them in this folder, so you will have all of the documents relating to the sale of your home in this folder. These documents will be important when you go to sell your home. In this final set of documents, you will also find a questionnaire on our services. Please complete it and mail it back to our office. It is very important that we get feed back on how we are doing, as we are always tying to improve our services. Remember, if we did a good job for you, please tell a friend when they are looking to Buy or Sell real estate. If we didn’t please, tell us. We will visit you in the first two weeks after taking possession of your new home, to check that all went well, and see if we can be of assistance to you in any way – whether it be for the name of a handy man, or Insurance company. We will try to be of assistance in any way possible. I will also place you on our mailing list and keep in touch on a regular basis. For a sample copy of a Purchase Contract Notice, visit the download link below.